The Korean Wave is just the start for Asian brands as it led by Samsung has helped the Korean brands to globalize. Western companies need to start paying attention as consumers may soon shift preferences and behaviours. 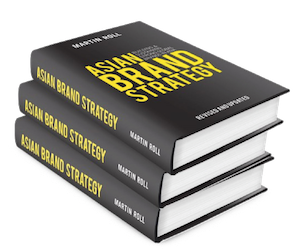 The last 10 to 15 years was phase one of Asian brand building. Asia came out of its manufacturing age, being fragmented and a delivery base for Western brands. Following the financial crisis of 1997, Samsung’s chairman Lee Kun-hee decided to step up and emulate what the Japanese had done well with the likes of Sony. The second factor is the mind-set in the boardroom. Now the second and third-generation of the Asian family owned companies are coming back from overseas studies. They are the sons and daughters of global business schools Harvard or INSEAD, and they have a very different mind-set to their parents. They may have worked for McKinsey, L’Oreal or other global multinationals. Global business is moving into a new era where branding takes centre stage and becomes strategy, not only marketing and glossy advertising campaigns. Asian brands have a golden time ahead of them, but they will not succeed in building brands rapidly. When brands come from California, Munich or Paris, they don’t have to explain much about their country of origin, but if they origin from Korea, Singapore, Thailand or Indonesia, the Asian brands have to do much more explaining to show they deserve a seat at the table. Asian firms should decide to sit at the table but they also need to prove their worth in terms of design, quality levels, management, governance and innovation – anything it takes to run a modern business. The Asian brands also need to develop an emotional attachment. It’s like a bottle of wine – it takes years to age and mature to develop a full body and personality. The probability of success is much greater in an advanced economy, but it is still possible to break the mold. Looking at countries less known for developing brands, Thailand’s fashion and lifestyle brand Jim Thompson has gained success with its own legacies and myths. Singapore is only a small country but it has brands such as Singapore Airlines, Banyan Tree (luxury hotel and resorts brand) and Charles & Keith (fashion shoe and bag brand). In terms of Chinese brands, it will take another five to ten years as it relates to the design, the quality levels and the overall perception of China. The country of origin effect of China is still moderate to neutral, and the probability of success depends on the product category. The Japanese brands are still world class, although the older generation in leadership may not realize the challenge from Korea and China. The Koreans are the best brand builders right now in Asia including Samsung, cosmetics and skincare firm Amorepacific, CJ Corporation and their subsidiary O Shopping, which is now the second-largest TV shopping brand in the world.